Upwork: How could we not kick things off with Upwork? 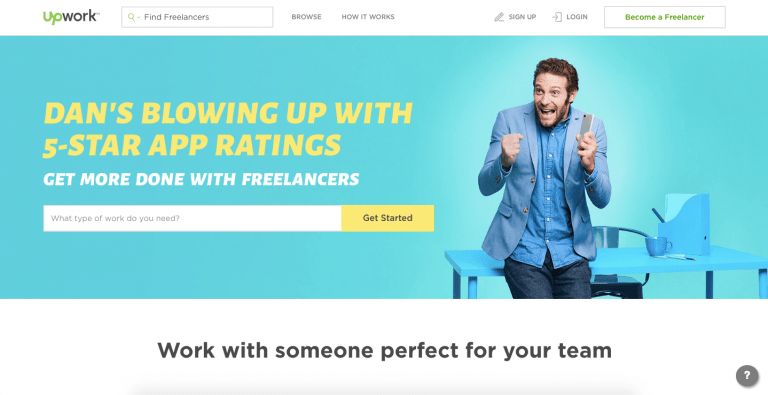 This is the largest and most popular freelance platform on the internet, and it’s long been my go-to place for new leads, clients, and work. More importantly, it’s a great place to kick-off your freelance biz. 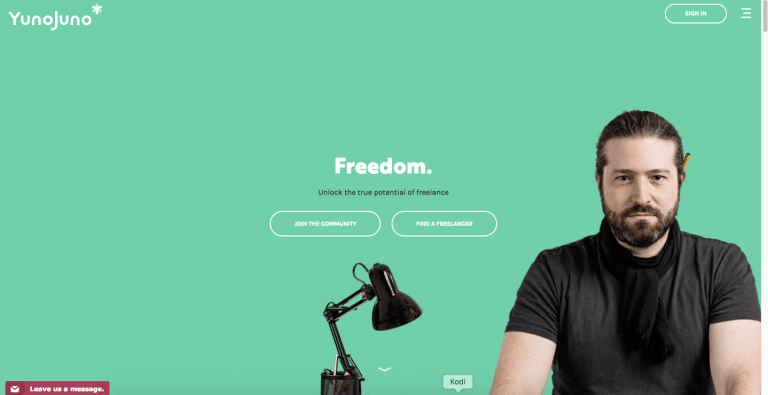 Freelancer: Freelancer claims to be “the world’s largest freelancing and crowdsourcing marketplace”. The focus is its bidding system, where the freelancer who bids at the cheapest price tends to win the job (though, fortunately, that’s not always the case). Guru: Guru is very similar to Upwork in essence; however, because it’s growing, it’s smaller and not as well known. The best thing about Guru is the fact that the freelancer fees are minimal, unlike Upwork who take 20%. Grrr. People Per Hour : You might have already heard of PPH from spotting those pesky ads on YouTube playing recurrently in the last few months! 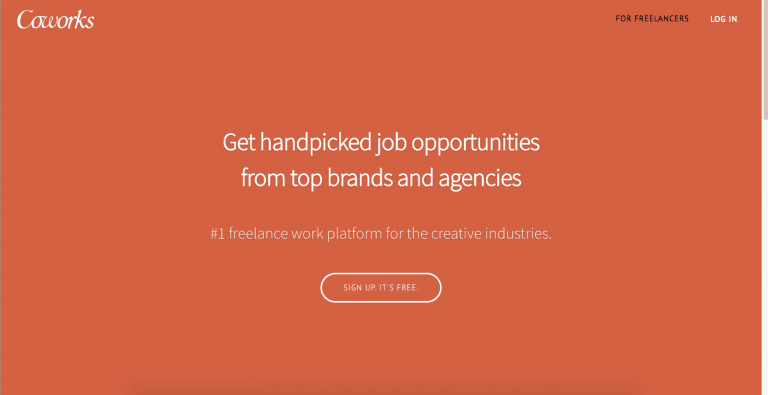 PPH matches clients to talented freelancers worldwide, mostly in the creative industries. 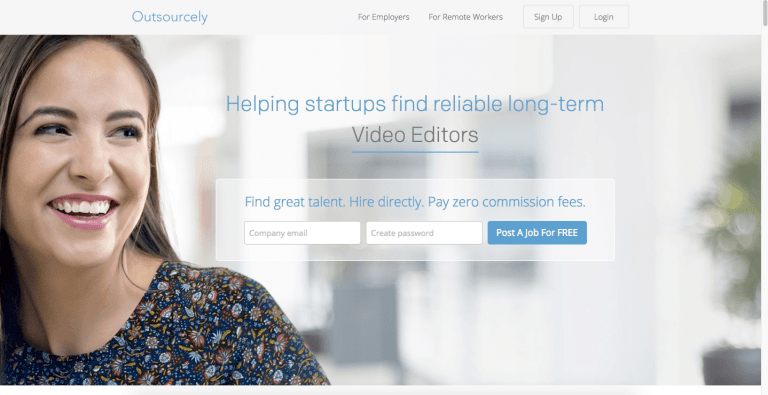 Outsourcely: Outsourcely aims to “help startups find reliable long-term freelancers” from over 300,000 remote workers. And the best part? There are zero commission fees. Wahoo! Yono Juno: I know, interesting name, right? 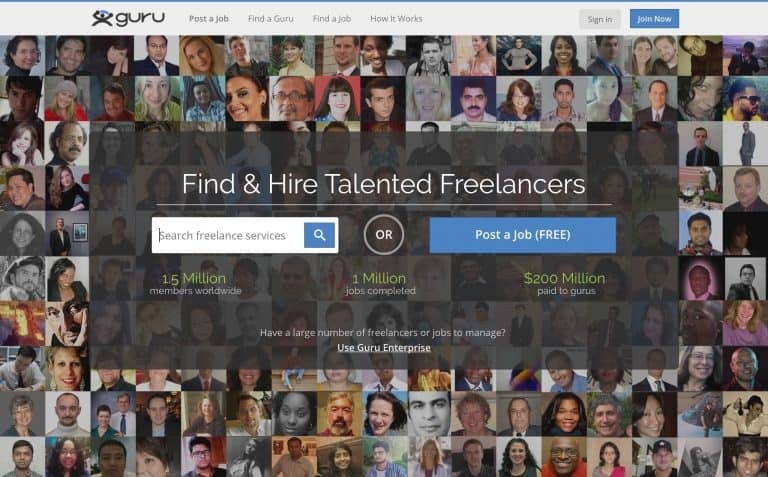 Yuno Juno provides the client with “direct and unfiltered access” to its community of freelancers. 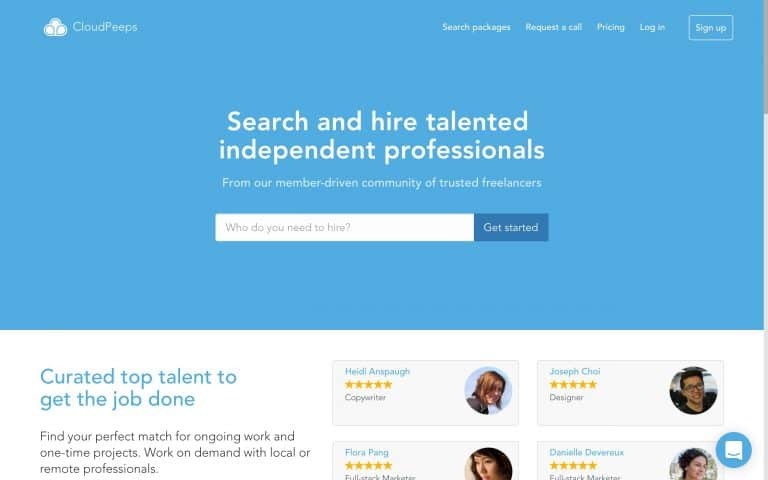 It’s one of the most efficient freelance sites for clients in the sense that it enables them to book a freelancer almost instantly, by showing them who’s readily available to work. 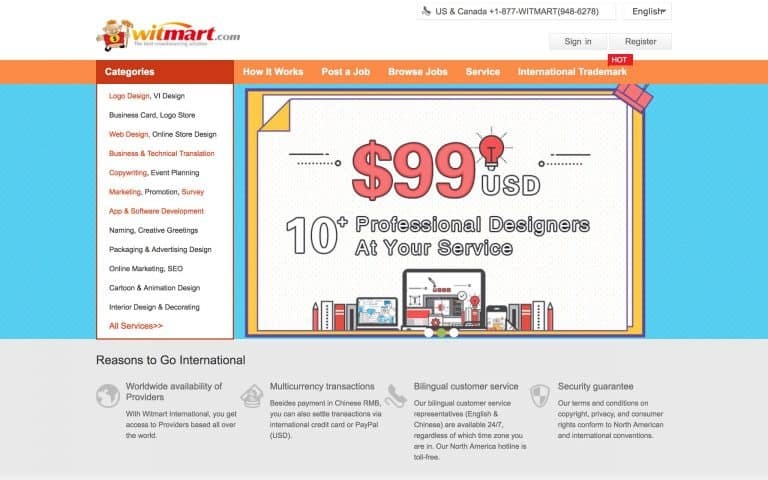 Witmart: Witmart’s website might be basic, but this marketplace offers an array of jobs for freelancers. The most popular services that freelancers tend to provide for their clients include logo design, web design, translation, copywriting, and marketing. 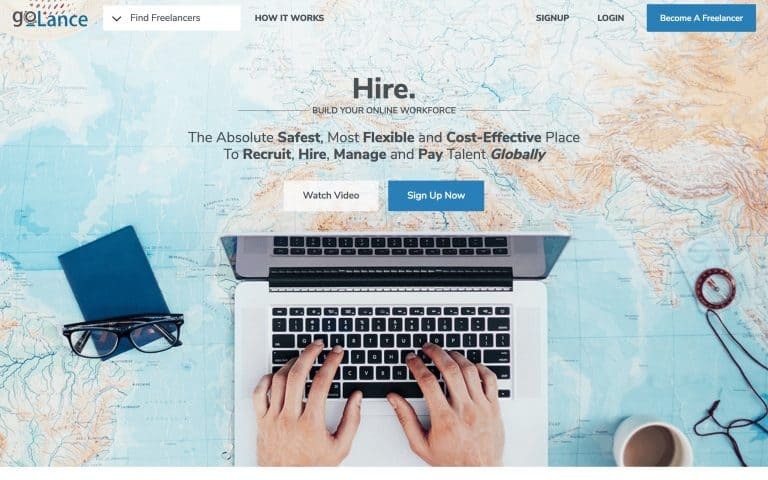 GoLance: Freelancers must pay a 10% fee when they use this site; however, the unique thing about GoLance is that clients receive 2-5% cashback for every dollar that they spend on talent. Therefore there are always tons of clients posting multiple jobs! Fancy Hands: Fancy Hands match US-based assistants to clients who have a huge to-do list and need a helping hand. The site focuses on mainly virtual assistance work, but clients have to subscribe monthly in order to access the talent pool. CloudPeeps: provides work for freelancers in all different types of industries, from design, to SEO, to public relations. The site is free to use for freelancers if you’re only going to message 5 clients or less; however, you have to pay for the Business or Enterprise monthly subscription if you want more flexibility. 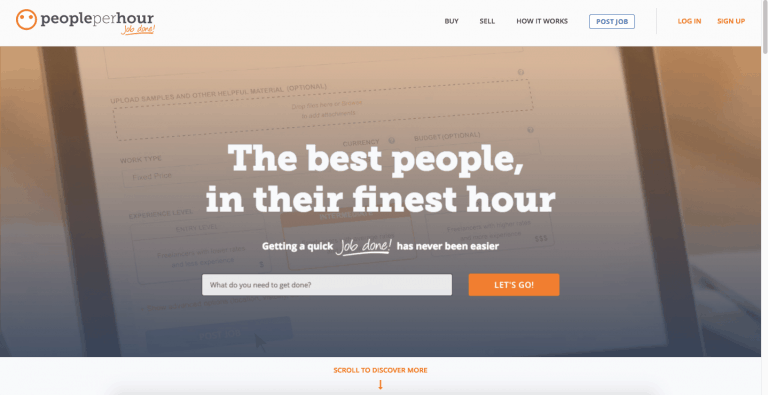 Hubstaff Talent: is similar to People Per Hour in terms of look and feel. 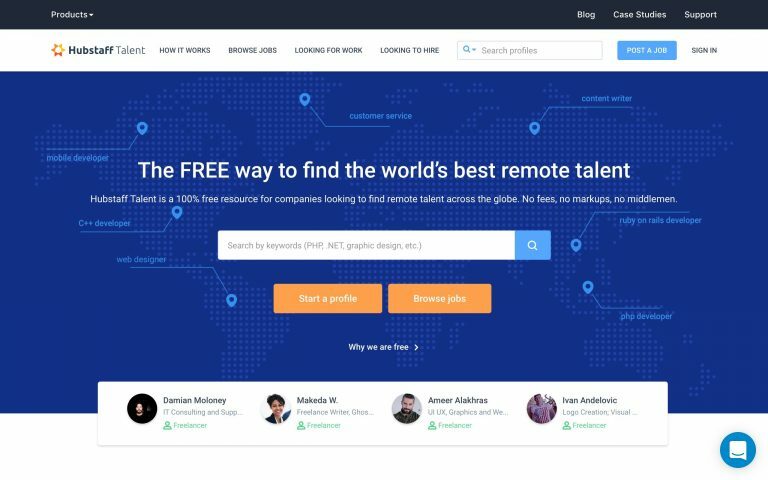 Freelancers are able to browse jobs based on their geographical location, but they can also be contacted by worldwide clients directly if they think they would be a good match, regardless of what country they live in. 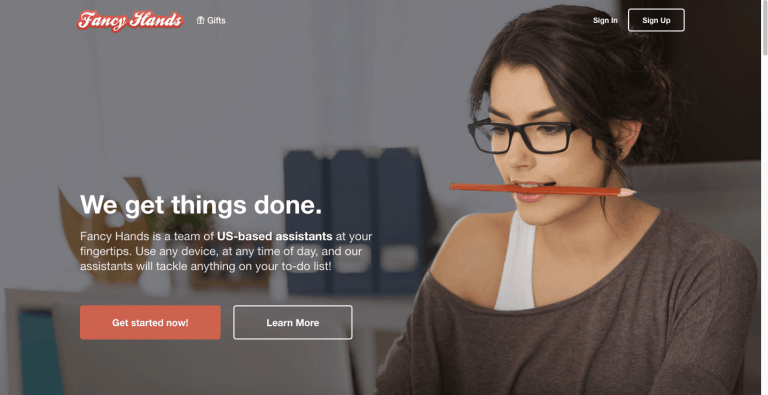 Zirtual: Similar to Fancy Hands, Zirtual has a team of Virtual Assistants available to work for entrepreneurs, professionals, and small teams based in the US. 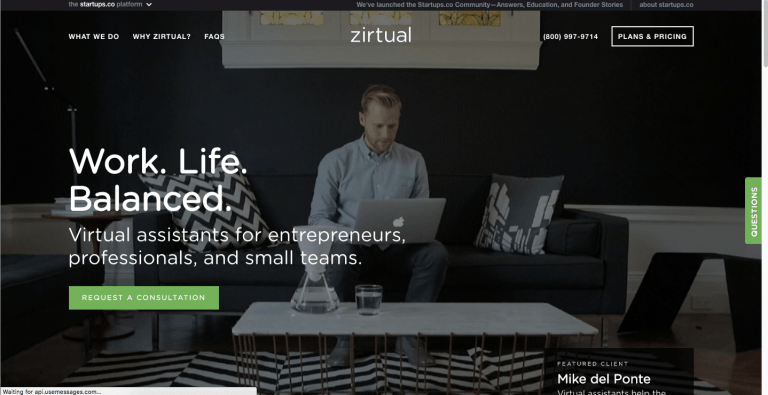 In order to be delegated to a client as their VA, you have to apply to Zirtual’s official job postings. 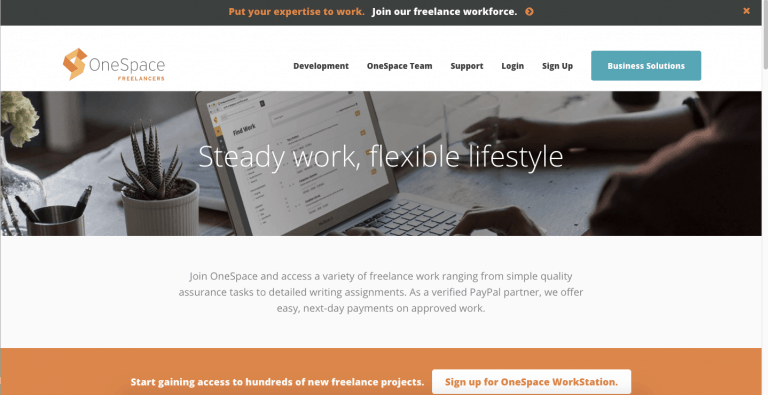 OneSpace: describes itself as “an all-in-one workflow automation platform with a built-in network of freelance talent”. In simple terms, a client develops a task that they can assign to their existing employees through the site, or they can choose to browse OneSpace’s network of 100,000 professionals. iFreelance: The good thing about iFreelance for clients is that they can post projects for free and there are no transaction fees involved. 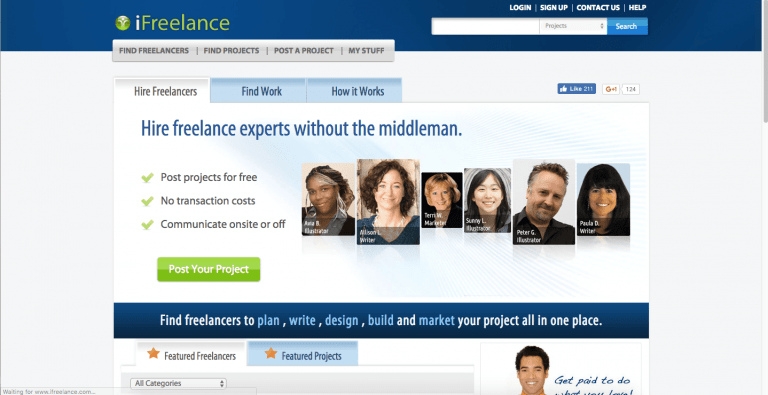 The bad thing about iFreelance for freelancers? The high quality job postings tend to be few and far between. Greatlance: When you Google Greatlance, you have to scroll to the bottom of the first page of results before you even find the site (take that as you will). 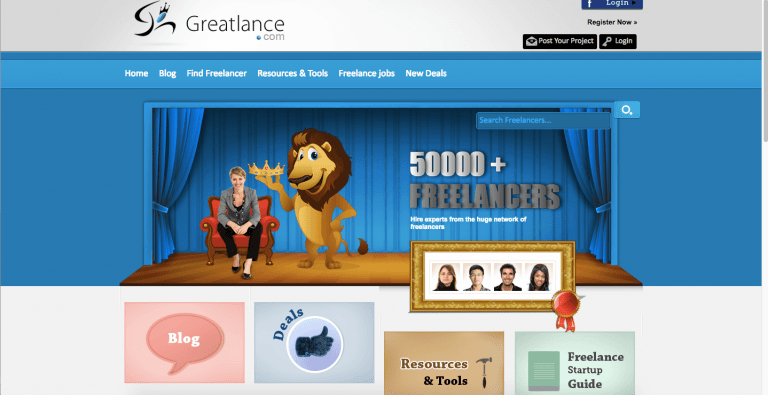 The site might be basic, but they have an abundance of job postings for freelancers to browse through at their leisure. 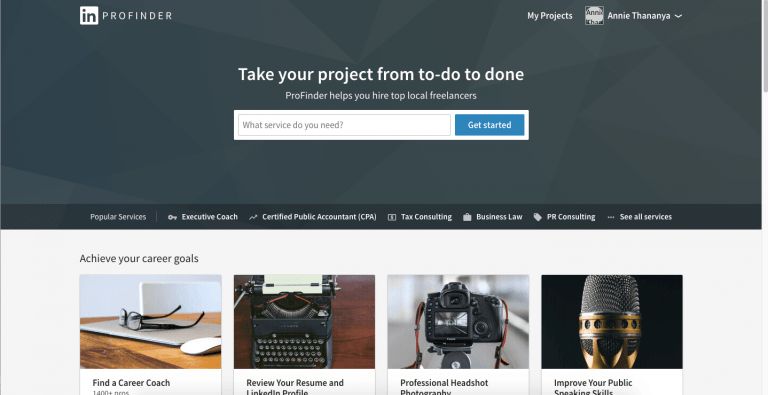 Project4Hire: Project4Hire is exactly what it says on the tin; this freelance marketplace allows clients to find skilled freelancers worldwide who can help them with their project. These projects can vary in category, from accounting and finance to IT, software and programming. LinkedlnProFinder: As a freelancer on ProFinder, you get leads mailed directly to your inbox. You can then offer a client a short proposal, which includes full access to your LinkedIn profile. If your offer meets the client’s needs, they’ll reach out, hire you, and start a conversation. It’s as easy as ABC! Coworks: The premise of Coworks is for clients to attract, hire and build their own team of freelancers via the site. 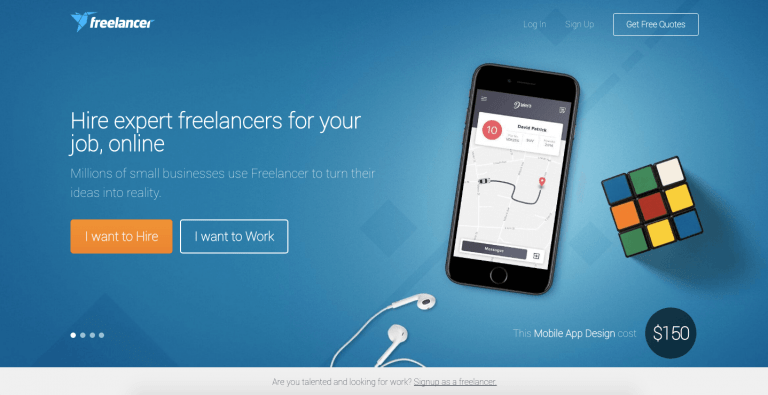 It’s apparently the “#1 freelance work platform for brands and agencies” – and it’s completely free to use! 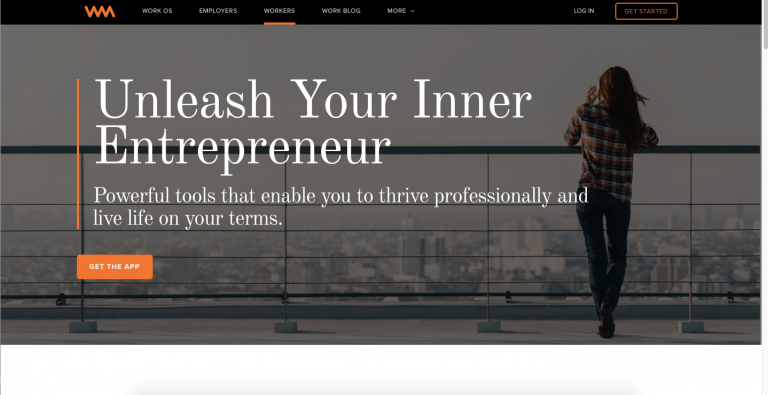 Work Market: Work Market allows freelancers to “unleash their inner entrepreneur”, through uploading their resumes and finding client assignments in real time. The site’s algorithm matches each freelancer’s skills to the best opportunities for them which creates a win, win situation.